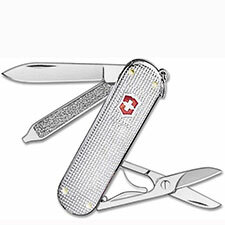 The Victorinox Swiss Army Knives with Alox Handles are available in four sizes, in many configurations, and smooth Alox or ribbed Silver Alox with an engraving panel on the back. 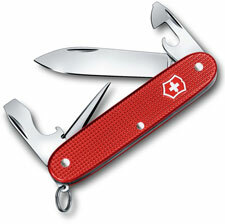 The Victorinox Alox Knives that are 2.5" closed include: Classic SD with ribbed Silver Alox handle, and Companion with smooth Alox handle in Red or Silver. 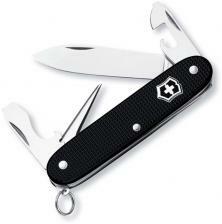 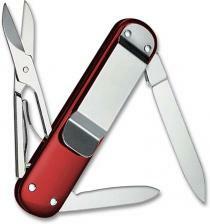 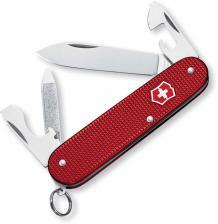 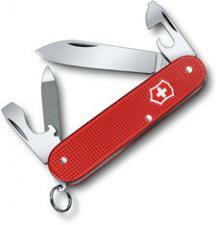 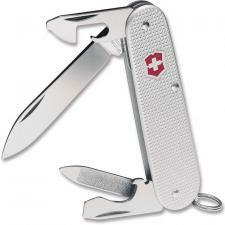 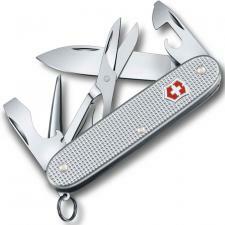 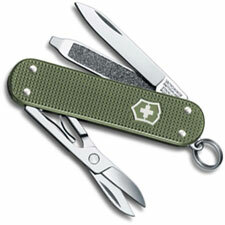 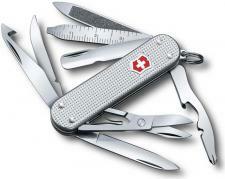 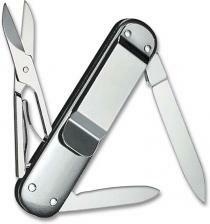 The Victorinox Money Clip Knife is 3.0" closed, and comes with smooth Alox handle in Red, Silver or Black. 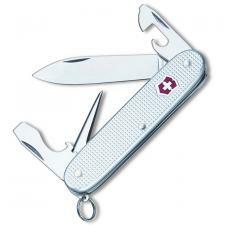 The Victorinox Alox Knives that are 3.25" closed include Cadet and Bantam Alox with ribbed Silver Alox handle, and Secretary with smooth Silver Alox handle. 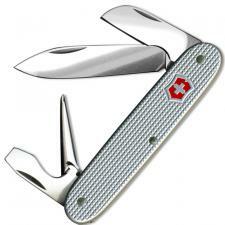 The Victorinox Alox Knives that are 3.5" closed have ribbed Silver Alox handles. 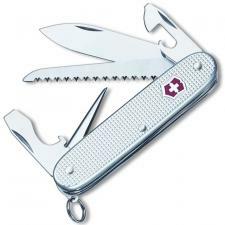 Choose from Soldier, Electrician, Electrician Plus, Solo Alox, Farmer, Pioneer, Pioneer Settler, Pioneer Harvester, and Pioneer Rancher.